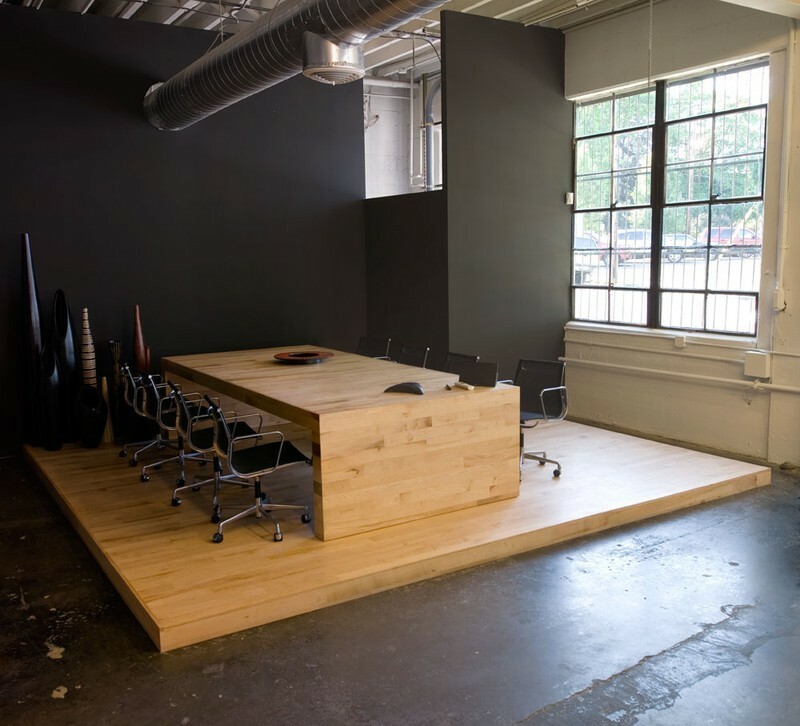 I was commissioned to build this company's office inside a commercial space with concrete floors. 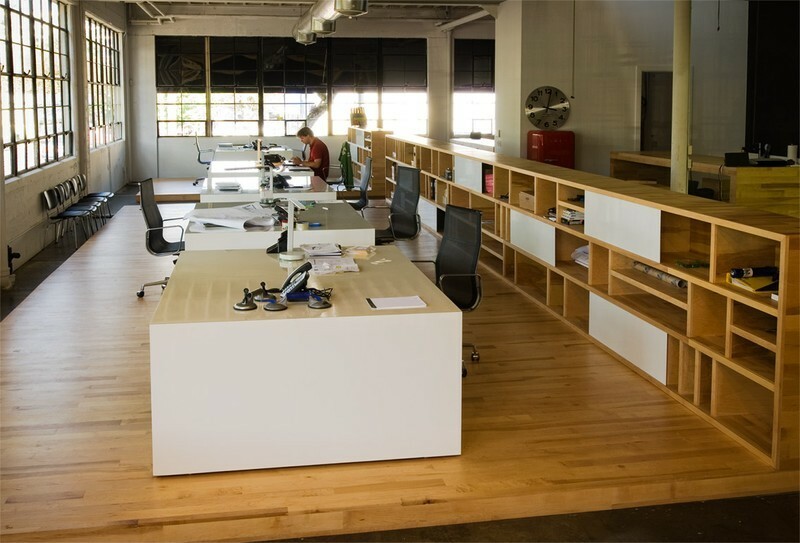 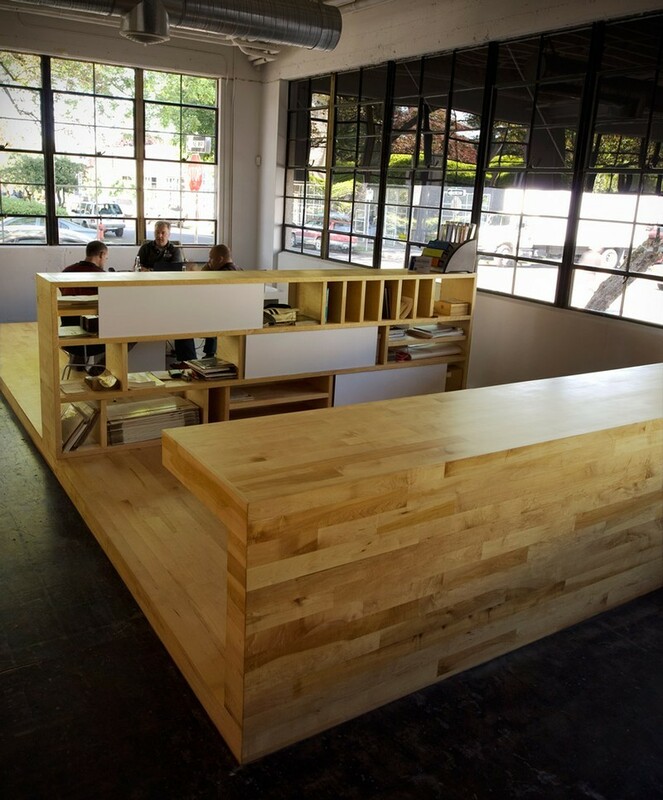 I built everything from the platforms to the desks including the 40 foot long bookshelf with sliding powdercoated steel doors. 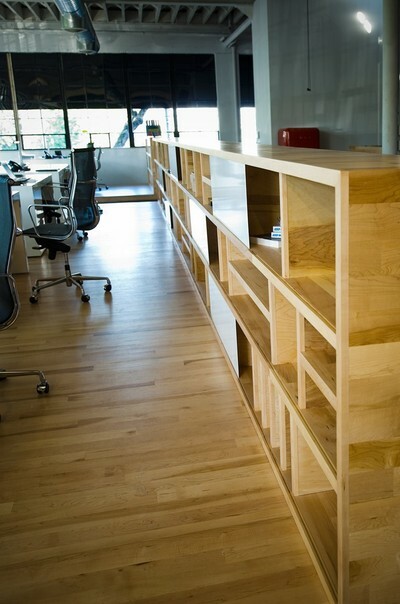 If you have a modern, mid century or "streamlined" home and need cabinetry to match I can help.